Xia Xia little friends are the tiny figures coming with Xia Xia hermit crab toys. These little friends can ride on the top of crabs shells and also you can store them inside these shells. All these little friends are unique and high collectible. Each Xia Xia crab toy comes with one little friend to collect and each pack with additional Xia Xia shell comes with two little friends inside. Can't wait to get all of them, and what about you? 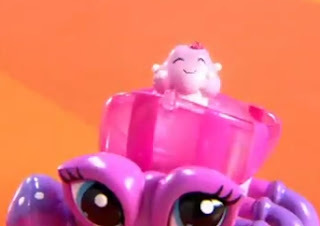 How many Xia Xia little friends do you have?